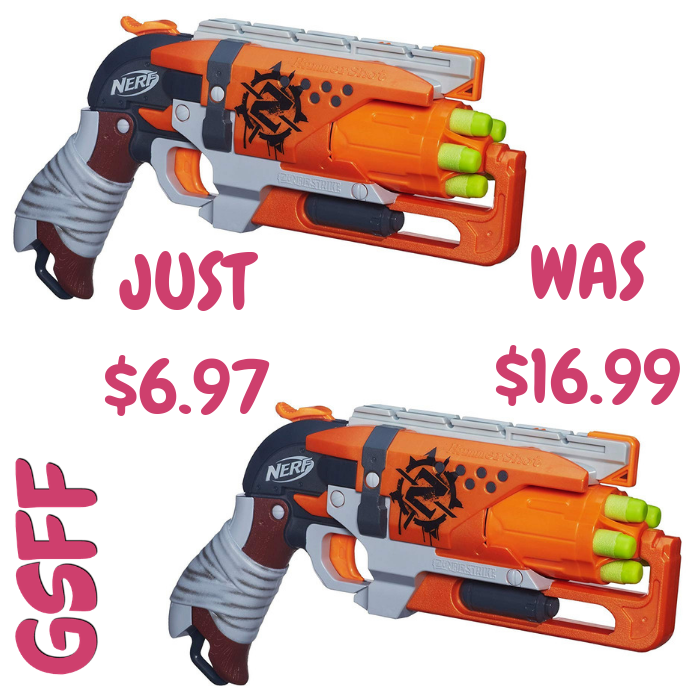 Nerf Hammershot Blaster Just $6.97! Down From $17! Shipped! You are here: Home / Great Deals / Amazon Deals / Nerf Hammershot Blaster Just $6.97! Down From $17! Shipped! At Amazon, you can get this Nerf Hammershot Blaster for just $6.97 down from $16.99 PLUS FREE shipping! When the zombies strike, you’ll be prepped to double-tap them with the Zombie Strike Hammershot blaster! Quick-draw this 5-dart blaster and pull back the hammer to start firing Zombie Strike darts at your target. Reload fast, check for zombies and blast one-handed at them with the Hammershot blaster!